For those who are too busy reading through the eight pages essay, I have summarized the aspects I found most significant. So, if you are in a relationship, and you see that things are just not “perfect”, have you ever considered how much this might be influenced by your consumer mind set? Are you constantly looking for something (someone!) better? Are you seeing your partner as someone to fulfill your needs? I find in particular the last paragraph worth some thoughts. Indeed I see a lot of disappointment among people, and it would be helpful to identify the source of this disappointment. Personally, I have no doubt that it is possible to find the “ideal” partner, but I agree to the old saying that nobody is perfect. The basis of any good relationship is to accept the other one as they are, isn’t it? 2) while picturing the ideal partner, look likewise at what kind of partner YOU have to be for him/her. For instance if you are looking for a supermodel pursuing a healthy lifestyle, how attractive will you be for such a person if you are a couch-potato? To make my point clear: I am not moralizing, neither am I proclaiming marriage nor monogamy as the right way of life. I do not think that any marriage or partnership must be saved just for the sake of it either. However, I find all the above mentioned worth some intense thoughts, especially if you’re unhappy or if your relationship seems to be going down the drain. What are your true values and beliefs? Do you want to live alone, in a lifelong relationship, or maybe somewhere in between? How much value does a relationship have for you? Are you willing to commit to your spouse? How much are you willing to invest into a relationship? 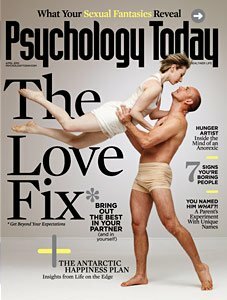 If you look as objectively as you can at your relationship, how good is it? Are you a perfectionist, constantly looking for something better that most likely does not exist? Could you derive more joy from your existing relationship if you acknowledge how great it actually already is? How would you need to change yourself to improve your relationship? Happy Easter and enjoy life! A wonderful, succinct summary of the topic! A fascinating analysis… it really hits the nail on the head. Something I can definitely identify with, as I’m sure many people can! Thank you for the thought-provoking questions!